At CLCS we believe that student life should provide diverse ways for children to learn and grow. That is why CLCS students have many opportunities to experience life outside of the classroom; during Environmental Ed, through service at school and in the local community, and though extracurricular activities. As students participate in these important experiences, they begin to discover their God-given gifts and talents. Environmental Education classes at CLCS take students outside the classroom walls every week. Students learn about native species and Godly stewardship while exploring the extensive and diverse school property. 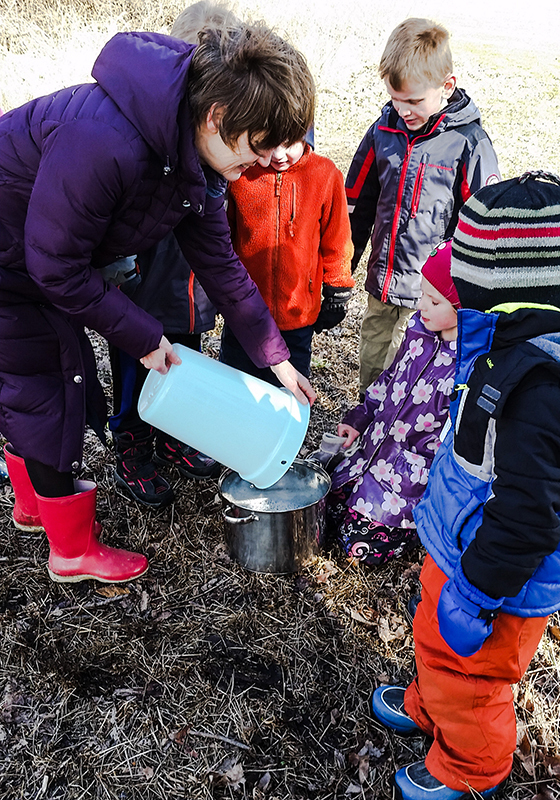 Some recent Environmental Ed projects include tapping maple trees on the school property, putting up blue-bird houses, and making staghorn sumac lemonade! In the spring, work on the school gardens will begin, and this outdoor learning continues during Family Summer Garden Club! Service projects are built into the curriculum and are an important part of student life at CLCS. Our older students act as interns in the primary classrooms, helping out once a week, and also serve as lunchroom helpers. During our annual Serve-a-thon spring fundraiser all students serve the local community while raising money for the school. This is truly the highlight of the school year in the eyes of our students because they are doing real work for real people and making a difference. These events are certainly fun, but they also build character in our students and open their eyes to a world of possibilities. Extracurricular activities can be a meaningful part of a well-rounded life! Activities such as ski club, worship dance class and modified sports help our students grow deeper relationships with classmates, peers, and adults while teaching them new skills. Students who participate gain confidence, expand their horizons, and have additional opportunities to practice being servant leaders. Students collect sap from our maple trees.